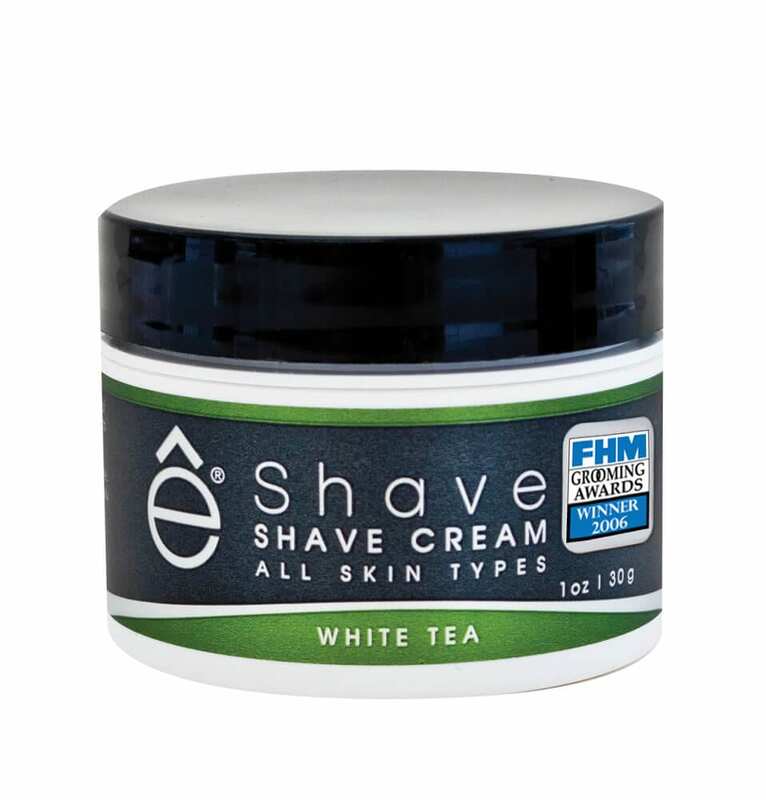 eShave Travel Shaving Cream White Tea is Paraben Free, Sulfate Free and Vegan. 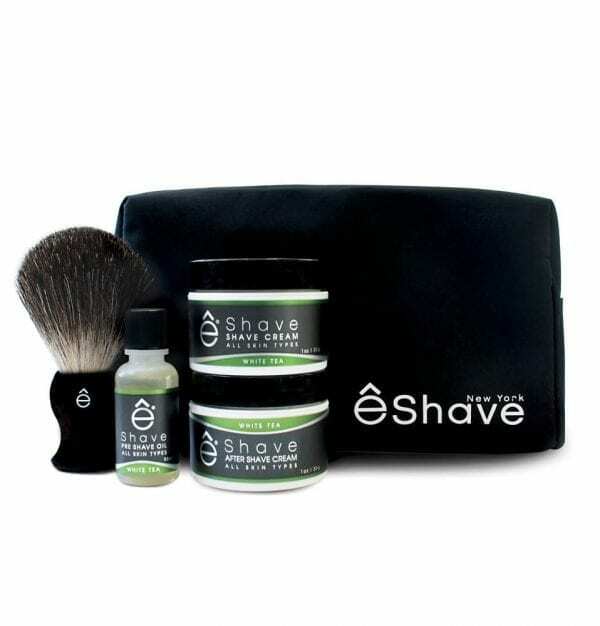 It contains NO SLS, NO SLES and NO synthetic colors. 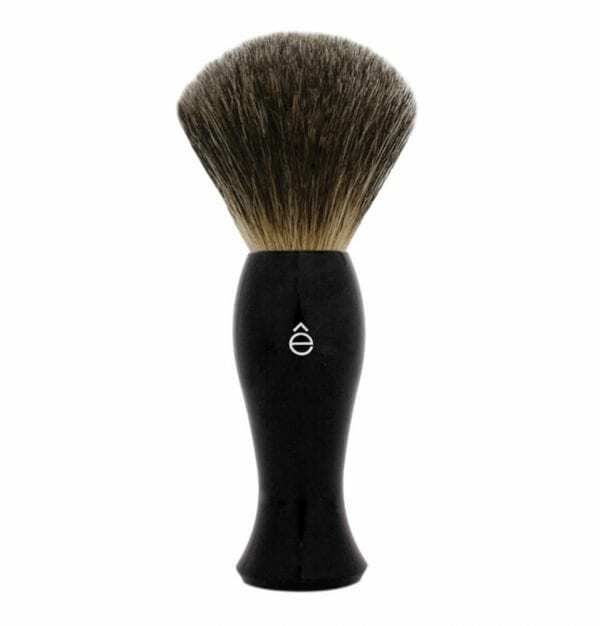 Shaving Tip: You need a tiny small amount of Shaving Cream to generate a super-rich fluffy lather when using a Shaving Brush. 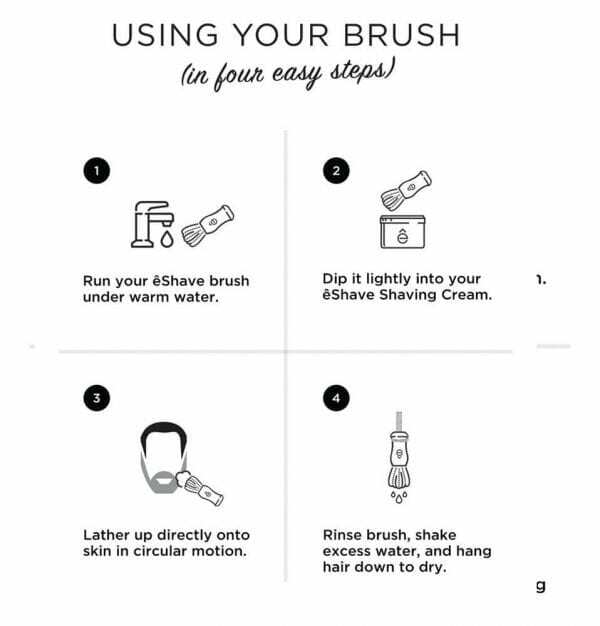 And the more hot water you use the richer the lather. A 4oz jar will last you many months. 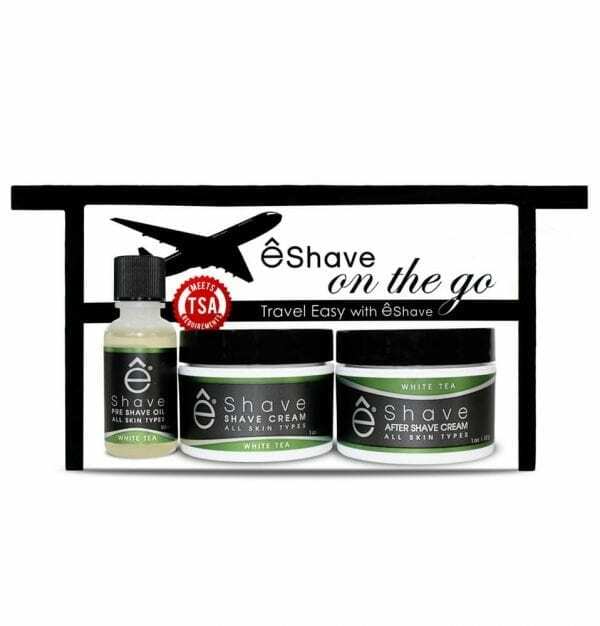 It is cheaper and more efficient than foam or gel, and it will give you the closest shave ever, pain free, no kidding! 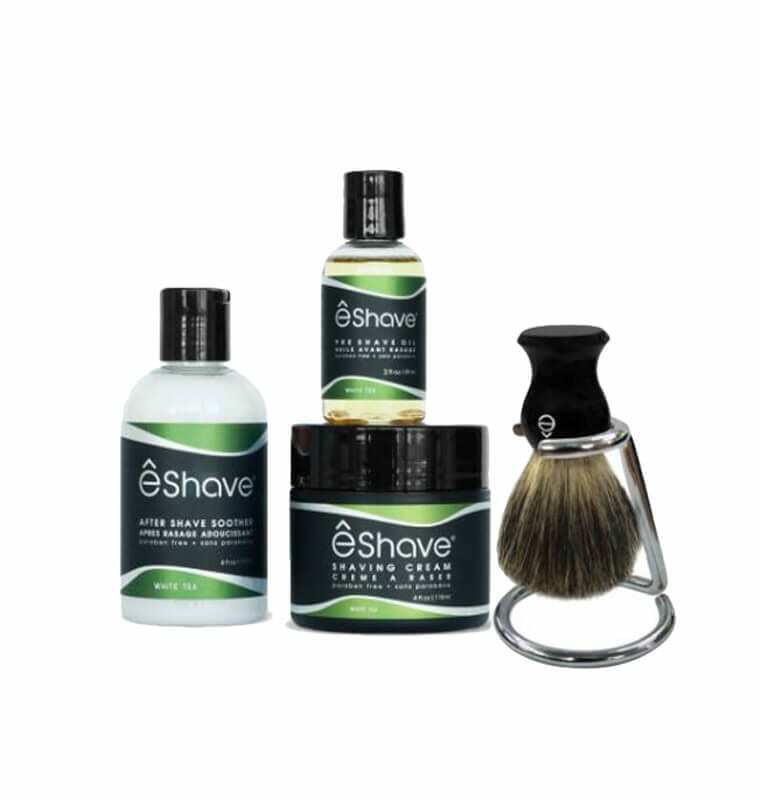 Aqua (Water), Stearic Acid, Myristic Acid, Potassium Hydroxide, Coconut Acid, Glycerin, Triethanolamine, Parfum (Fragrance), Sodium Hydroxide, Limonene, Linalool, Benzyl Benzoate, Geraniol.